Here is a mask you can print out and bring to the game if you so desire. It was poorly made because I'm on my way to the ballpark. 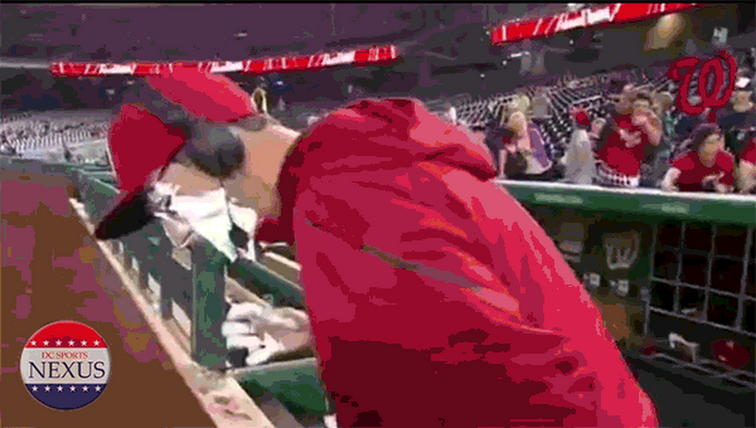 If you don't get it, check out the Junkies and read the non-linked Ken Rosenthal article where he quotes an anonymous player of saying the team would be up 2-0 if Strasburg was pitching. 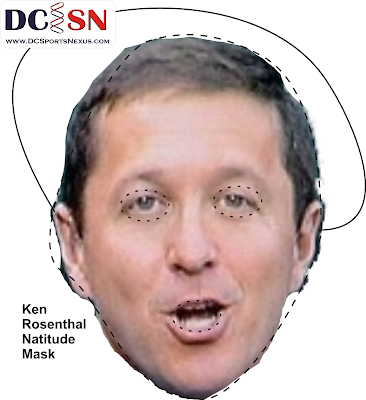 If you wear it, it will look like Rosenthal is cheering the Nats instead of clubbing them~!